Me: What r u doing? Him: A Boba Fett helmet. Me: Boba Fett? As in Star Wars? The Husband says at that moment he paused and turned to his friend that was in the room. 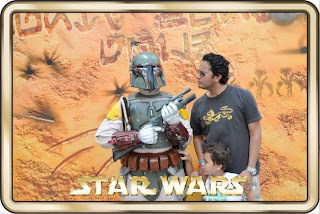 Clearly surprised that I knew exactly who Boba Fett was and where he was from. Eventually I found the helmet and purchased it for him as an anniversary gift. The Boy now spells Star Wars and 20th Century Fox out with his blocks. He loves the Star Wars section at Toys R Us and Target and says, "Mommy, Daddy - we have to buy this." And he likes to put on the Boba Fett helmet (the very one that I purchased for The Husband). It's cute to see The Boy walk around the apartment with that big helmet on his head. To hear his muffled laughter because he thinks he is unrecognizable. I play along calling out The Boy's name. And there's more laughter until The Boy takes off the helmet and screams, "Here I am!" I let out an exaggerated sigh of relief. The Boy is now old enough to appreciate and play with some of The Husbands old Star Wars toys. So on Sunday morning, The Husband pulled out an X-Wing Fighter from his closet. It was one of those models where you need to place the stickers on. I watched as they sat at the table, working on their first toy model. It was hard to tell who was more excited. 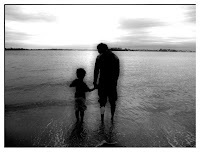 The Boy or The Husband. The Husband had The Boy search for each numbered sticker, locate it on the model sheet, then find it on the actual model. The Boy was focused, concentrating on finding the numbers and placing the stickers on the X-Wing Fighter. It was one of those moments when I wished, I knew how to work our camera. 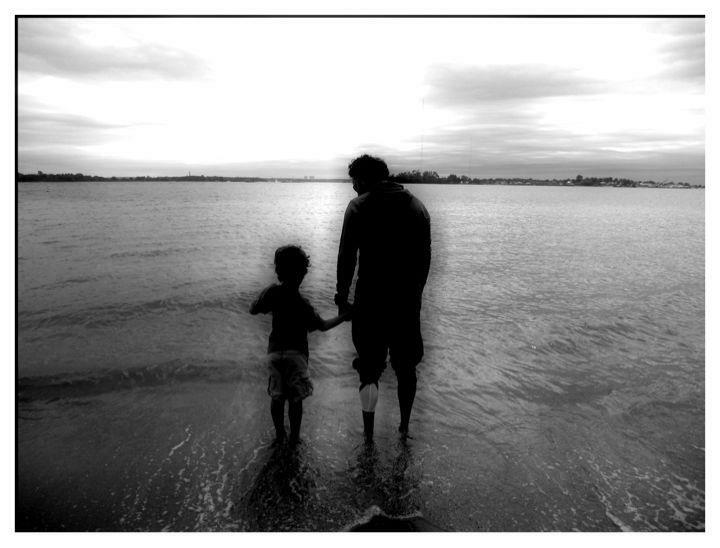 I love watching The Husband and The Boy together. I love watching them walk up ahead, holding hands dressed in their dark denim, matching sneakers and baseball caps. I loved every second of them at the table working on their little project. The Husband encouraging and praising The Boy when he pointed to the right place on the model. And The Boy smiling with pride. I love that The Boy has become a Star Wars fan - just like his dad. It's their special way of connecting. And if seeing The Boy enjoying one of my favorite things makes me happy, I know it makes The Husband even happier. This post is part of S-O-S Best of the Best Series: Edition 11: Family Life -Fun, Loving, and Special. 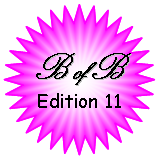 Best of the Best Editions are published on the 15th of every month. 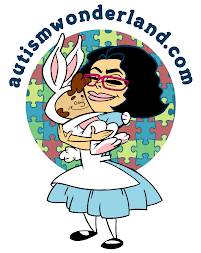 Please be sure to look for the Best of the Best series and read work from over 30 blog writers.